In this episode, host Neil Howe talks to Nirjary Desai, CEO of KIS (cubed) Events about creating unforgettable events for corporate occasions or lavish weddings. If you are looking for something unique and memorable, then Nirjary Desai has what you are looking for. Global visionary Nirjary Desai has upped the ante in the world of event production and wedding coordination over the past decade. With a keen emphasis on creativity and customer service, her 4 companies KIS (cubed) Events, S3 ... See More Catering, Glam Squad and Bridal Elements by Nirjary Desai, have delivered the WOW factor to celebrities and top brands in the U.S., India, London, the Caribbean & beyond. 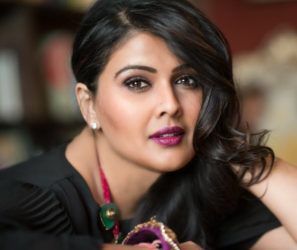 Her distinctive vision and business acumen have garnered features on Bravo TV, the Wedding Channel, Harpers Baazar Bride India, Huffington Post and more. She can also be seen making a guest appearance in the new film “Meet The Patels“, now in theaters around the country. Listen in as Nirjary describes what people are looking for in an event. Learn how to plan and budget for an event that will be talked about for years.